February 2016 saw the introduction of the EcoDesign regulations intended to close the “Specialist Lamps” loophole by broadly stating that if a higher efficiency lamp was available that could do the same thing the incandescent “energy guzzling” specialist lamp was no longer permitted. This has signed the death warrant of the “Rough Service GLS” lamp with additional filament supports and the “Exterior” lamp that was a facsimile of the first single strand metal filament lamps. These latter have become the hallmark of the trendy bar and restaurant in the past several years. The specialist lamps that they could not outlaw are “Oven Lamps” intended for use inside domestic and commercial ovens and “Signal Lamps” that exist specifically for use in traffic and railway signalling equipment where the filament form and light output must meet specific legislative requirements for traffic safety. 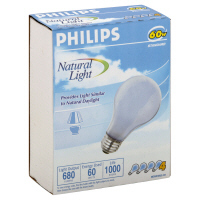 Attached you will find our latest price list for general consumers incandescent lighting. This is an overview of our complete range of bulbs, as you know it from us. 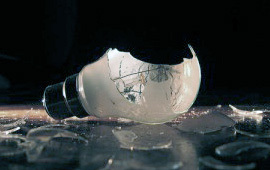 Of course you are aware of the fact that incandescent bulbs are being phased out. As you can see in the attached list, the majority of our incandescent program is currently still in stock and available. Some items are now no longer available and marked with delisted. Where possible we have provided an alternative in the article description. If you would like a complete list of alternatives to incandescent lamps in LED and halogen, ask our Inside Sales or a digital Alternative List. PAY ATTENTION! For various items that are still in stock but being phased out or items that are no longer available you can use our alternatives in Oven lamps of Traffic lamps.! As you are aware the oven lamps differentiates itself by the cement used between the base and the glass balloon, which is heat resistant up to 300degraas and also has a different type of gas filling. The application is only increased and the prices are very attractive. We would also like to draw your attention to the fact that several incandescent lamps in tube model, which were always in the attached consumer pricelist have now been moved to a pricelist for incandescent singallamps. To all our customers and relations that have this Signal lamps pricelist we hereby send you our most recent pricelist Signal lamps. Should there be no suitable alternative in Oven lamps or Traffic lamps and you would like to divert to halogen or LED but you not have the relevant pricelist? Please do not hesitate to contact your account manager of contact person of the inside sales department. Attached are a number of spread sheet price lists including new lamps in both Oven type and Traffic type that provide lamp shapes and wattages that are similar to the banned, standard, incandescent lamps. This is welcome news particularly for people who suffer from problems relating to LED and Fluorescent lighting. Right now I can’t think of a way to block this loophole as long as Schiefer can demonstrate a legitimate application for their new lamps. Nature, Nanotechnology published a letter pre-announcing research undertaken at MIT by Peter Bermel , Gang Chen, John D. Joannopoulos ,Ivan Celanovic and Marin Solja?i? 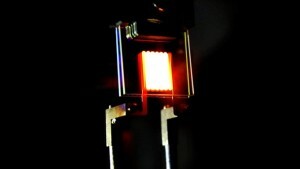 into producing a highly efficient incandescent light source. The basic principle is using nanotechnology reflectors to return the non visual radiation, specifically IR to the emitting filament that is optimised to reabsorb the energy to emit as light in the visible spectrum. The experimental solution delivers light at around 3,000K and the technology is predicted to deliver an absolute efficiency close to 40% when developed compared with conventional incandescent at 2% fluorescent between 7% and 13% and LED between 5% and 15%. 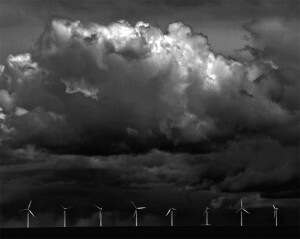 The main risk to these developments are regulatory developments particularly in Europe that will limit the ability to market new technologies such as this in the early stages where efficiencies will be lower and prices higher than current LED. As we stand now it is likely that, had we been facing such demanding energy efficiency goals 15 years ago when LED first appeared in the lighting market it is unlikely we would have seen the development expenditure and advances we have seen in the past 15 years. We must avoid a regulatory situation that stunts the growth of new technologies and developments.